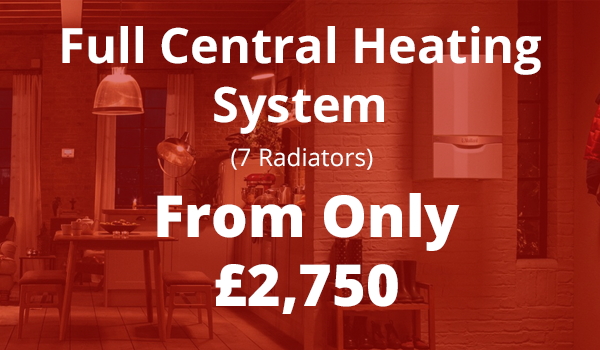 Need an upgrading for your home’s central heating? If you are looking for a local reliable supplier to carry out central heating installation in Coventry, we provide an excellent service based on our years of experience, with our team of highly qualified engineers. At A1 Gas Force we have been providing the best in central heating installation services for nearly thirty years and during this time we have learned a thing or two about what our customers want. That’s why we aim to deliver state of the art services that are efficient, convenient and cost effective. We know that every member of our team works with professionalism and pride in a job well done, and that means a prompt service, respectful of your requirements and completed with excellent attention to detail. Whether you’re updating an existing system, renovating or building from new, we can carry out all aspects of central heating installation for your property. From radiators and boilers, partial central heating installation, to repairs and servicing, we offer the expertise you need, whatever the job. With a central heating installation from A1 gas Force you can be certain that your new system will be up and running when you need it and will provide all the benefits in efficiency savings you’d expect from a new system. With energy prices going up all the time it’s worth investing in a new super-efficient boiler, and as there are free boiler schemes available to households that meet certain criteria, it’s worth finding out how much you could save. In addition to the fitting of new central heating systems we also provide regular checks and servicing for your pre-installed systems to increase fuel efficiency. If you think you could benefit from a smarter more effective central heating system, get in touch with us today with your requirements for an early solution.